In a world where the job market is becoming increasingly competitive and the creative industry is ever evolving, taking on a training course can help to give you the edge over the rest of the competition. Standing out from the crowd is no easy feat, but by investing in your career you’re not only helping… Read the full article. In the creative industries we output designs, illustrations, and photographs in a variety of media; often onscreen or in print. Where tone and colour are concerned, there can be a disparity between what we see on screen, in the design-edit stage of our workflow, and the proofing or final output of our work. 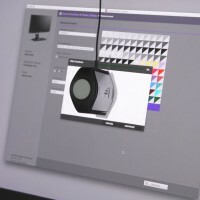 Colour Management… Read the full article.